Size of this preview: 465 × 599 pixels. Other resolution: 830 × 1,070 pixels. 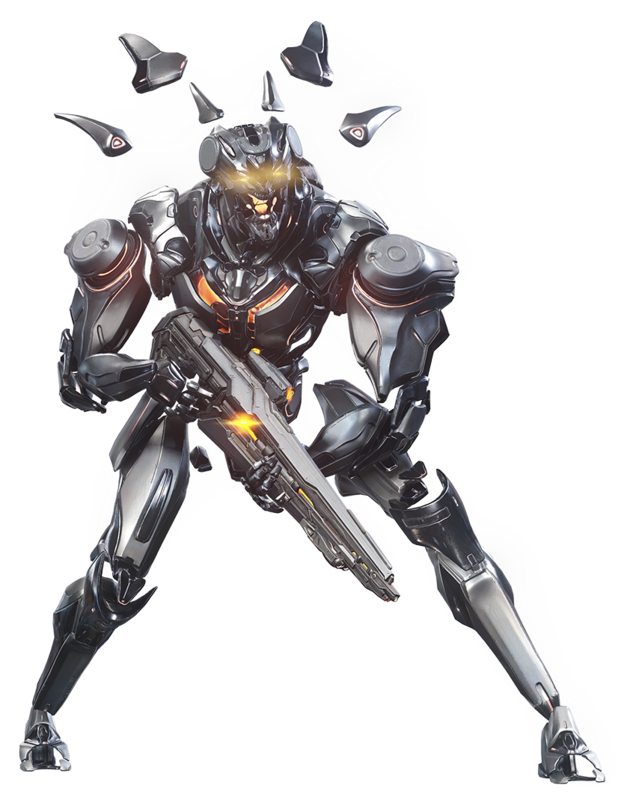 Official render of a Promethean Soldier in Halo 5: Guardians. This is a render from a copyrighted computer or video game, and the copyright for it is most likely held by the company that developed the game. It is believed that the use of a limited number of web-resolution renders for identification and critical commentary on the computer or video game in question or the copyrighted character(s) depicted on the screenshot in question qualifies as fair use under United States copyright law, as such display does not significantly impede the right of the copyright holder to sell the copyrighted material, is not being used to turn a profit in this context, and presents ideas that cannot be exhibited otherwise. See Copyrights and fair use rationale.